Today on Facebook live I'll be sharing how I created this beautiful easel card using the Blended Seasons stamp set. It's beautiful closed but even prettier when it's open. 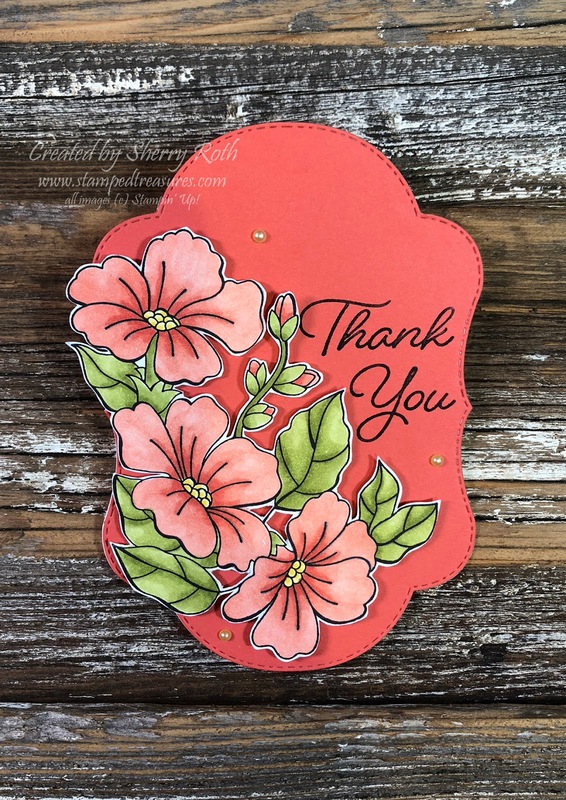 I colored in the beautiful floral image from the Blended Seasons stamp set using Stampin' Blends (calypso coral, old olive and daffodil). Then fussy cut the image.The card is being held open by an extra flower that I cut stamped and cut out and popped up with dimensionals on the inside. The card itself looks way more complicated than it is. The hardest part of the whole thing was the fussy cutting and even that isn't all that difficult, it just takes a bit of time. The Blended Seasons has quickly become one of my most used sets. It's only available to order until August 31st or while supplies last. Here's the video replay if you missed it live. Deadline to join the Stampin' Blends Club is fast approaching. Here are all the details, let me know if you'd like to join us - in person or online! 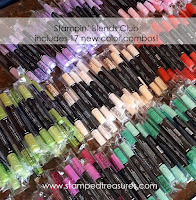 I am LOVING our alcohol markers - Stampin' Blends - and I know many of you are loving them too! With the release of the new catalogue came 11 new colors and with the upcoming holiday catalogue, there will be another 6 new colors! If you are anything like me, you want them ALL! The BEST way to get them all, along with over $75 worth of freebies is by joining the Blends Club. 2. The 1st month you'll receive 5 combo packs of the new blends + a free class where we'll create 2 cards. The 2nd and 3rd month you'll receive 4 combo packs + a free class (2 cards) each month. The last month you'll receive 4 combo packs, a package of the Graceful Glass vellum + a free class (2 cards). The 4 free classes and the vellum are my gift to you for participating in the club - that's an added value of $75! 3. Cost is $60/month for 4 months. Monthly payments are due by the 15th of the month. Payment can be made by etransfer, PayPal, Visa, MCRD or cash. 4. Anyone across Canada can participate (postage extra). I will film a video sharing the cards for that month and include your precut supplies with your package of blends for the month. You don't want to miss out on this wonderful opportunity to get all the newest Stampin' Blends colors. Join the club today! Payment and registration is due by August 15th. Spend over $50 and you'll also receive a free gift from me!